While most smartphones are increasing their internal battery sizes to allow for longer use, sometimes it’s still not enough to last through a whole day, especially with how much we use our devices. There are days where I can go a whole day and others where I’m lucky if I can get half a day before needing to plug in. I however hate being tethered to a wall charger so I often have a trusty backup battery pack to get me through the rest of the day. 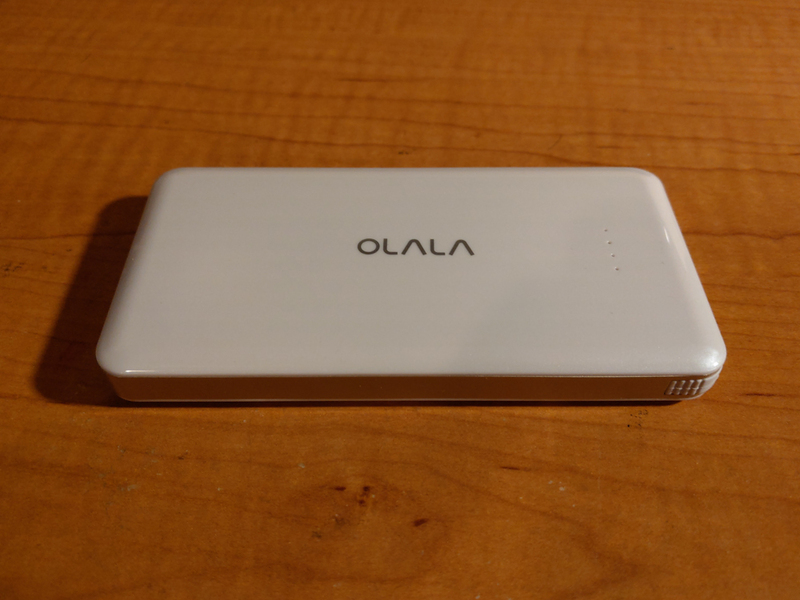 Over the past few days, I’ve been checking out the latest one from OLALA, their OLALA Mini 6000mAh Power Bank. This is a backup battery pack with a build in MFi certified Lightning Cable, but thanks to it’s second USB port, can also charge other devices as well. 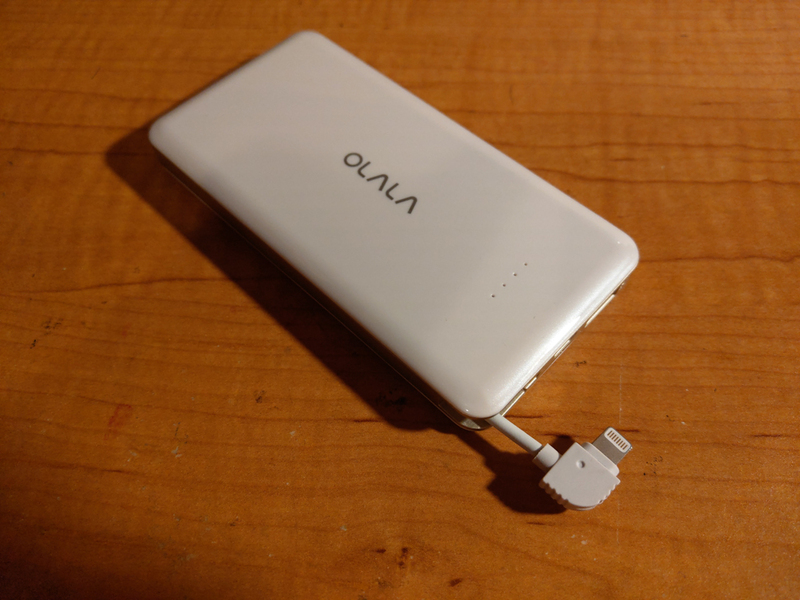 I’ve been testing this out with both my LG V30 and LG V40 devices and the OLALA Mini 6000mAh Power Bank is able to fully recharge my phone at least once (at different times). 6000mAh should be enough to get you at least topped off once with other smartphones as well with enough juice left over extra if need be. It all depends on how large the battery in your current device is. 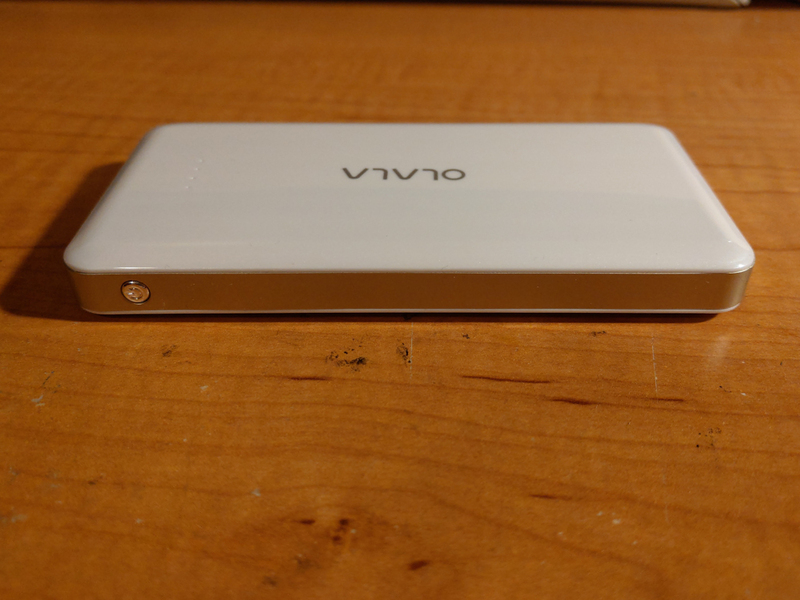 I will say the OLALA Mini 6000mAh Power Bank works quite well and seems to charge at a steady pace. 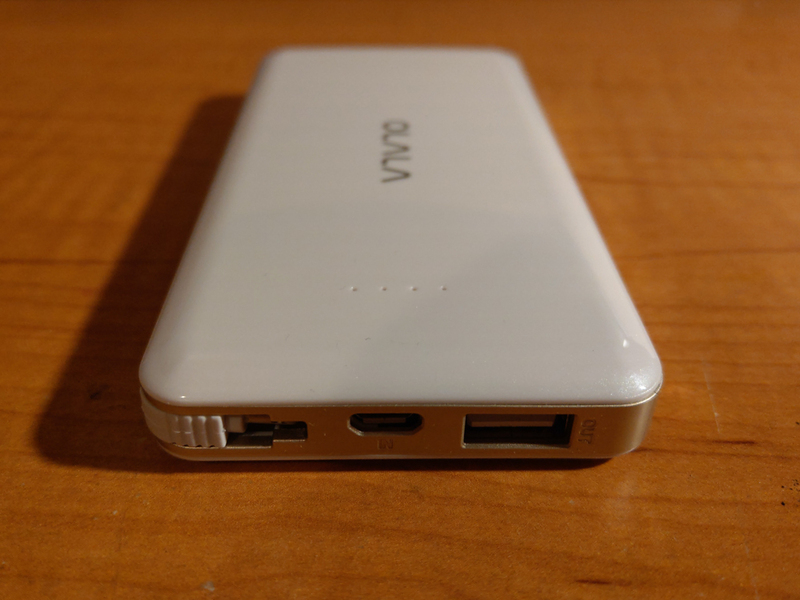 In terms of looks, the OLALA Mini 6000mAh Power Bank looks pretty good for something that usually just gets thrown in your pocket or bag. It’s thin, about the size of an old iPhone 5, and attractive. It’s mostly gloss white with a gold trimmed border and embedded LED lights on the front to let you know how much charge is left and if it’s on and working. The built in MFi cable is stored inside the unit and you can just pull it out to use it. Too bad OLALA doesn’t have a version of this with a regular micro USB plug or USB-C though, but at least there is an extra USB port on the back that allows you to use your own cable for these devices that need it. 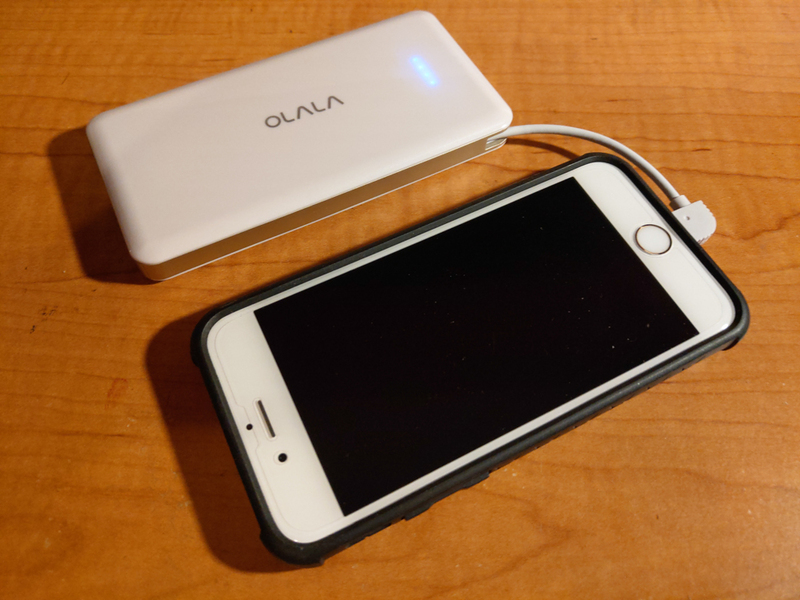 If you’re looking for a trusty portable battery pack that you can easily carry around with you, you can’t really go wrong with the OLALA Mini 6000mAh Power Bank. Unless you’re in the need of charging multiple devices throughout the day, the OLALA unit is perfect for most users. It’s 6000mAh battery is enough to recharge most people about 1.5x times roughly which should be enough until you get home. If need be, yo ucan charge more than one device at a time, but just note that you may not get a full charge if you do that. Aside from that, OLALA certain has a solid portable backup power pack here that also looks great, if that’s what you need. Sounds like a gizmo I should invest in. I drain my battery constantly due to my habit of watching videos. Yup. My kids carry them around because they do the same. YouTube kills your battery.